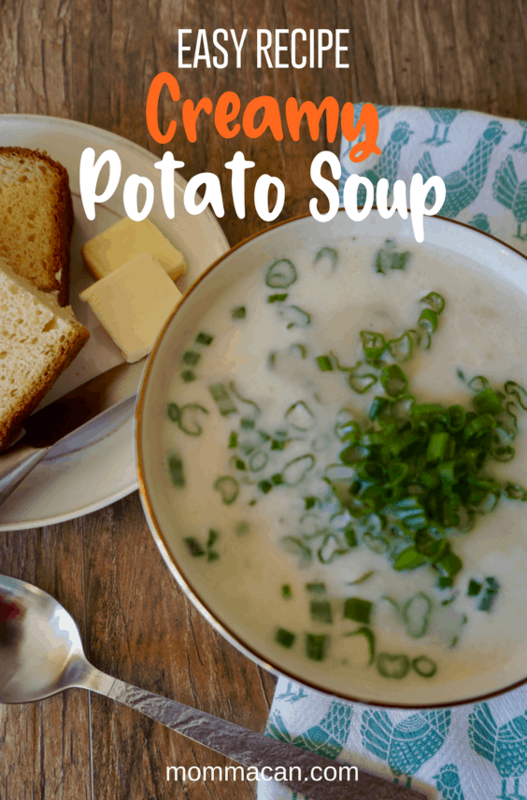 Our Easy Creamy Potato Soup Recipe is perfect for a cool fall night or a crisp winter day. 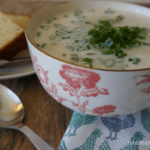 This creamy potato soup recipe is one of my favorite St. Patrick’s Day treats and pairs perfectly with my yummy Irish Soda Bread. This recipe has simple ingredients that are pretty much on hand in our pantry and fridge year round. Potatoes, whole milk, onions, celery, and butter. Don’t you love it when you are having a nice hot bowl of soup and can recognize each ingredient? The chives are added extra flavor and color for the photograph. When serving the children, I like to remove the onion as a garnish and use shredded cheddar cheese or crumbled crisp bacon. Using blender or food processor creates the creamy texture of this soup and hides those vegetables! Consider adding a little bit of cauliflower, one carrot, and/or a handful of spinach and add even more hidden yummy nutrients in the soup, without you kiddos catching on to your magical culinary skills. 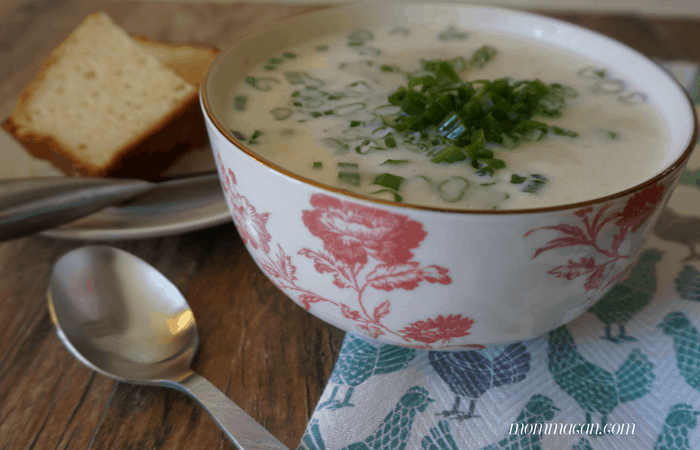 Delicious, comforting creamy potato soup. A family friendly recipe that is easy to make. Heat the butter in a 3-quart saucepan over medium heat. Add onions and celery and cook until onions are translucent. Stir the broth, 1/4 teaspoon ground white pepper and potatoes in the saucepan and heat to a boil. Reduce the heat to low. Cover and cook for 15 minutes or until the potatoes are tender. Garnish with finely slice green onions and serve with saltine crackers , biscuits, toast or Traditional Irish Soda Bread. This is a perfect dish for St. Patrick’s Day! I hope you enjoy this yummy recipe! If you like this, you may also like the Easy Turkey Chili Recipe. This recipe looks delicious with the chicken broth and milk. The really heavy potato soups made with cream are just to rich for me. This is one of those recipes that could be used as a base of many more, add celery, or chicken, or corn, or sausage, even hotdogs and hot mustard lol.